The drivers of the two real sized vehicles yesterday broke the world record after toppling on 66-ft double-loop track designed after a toy. 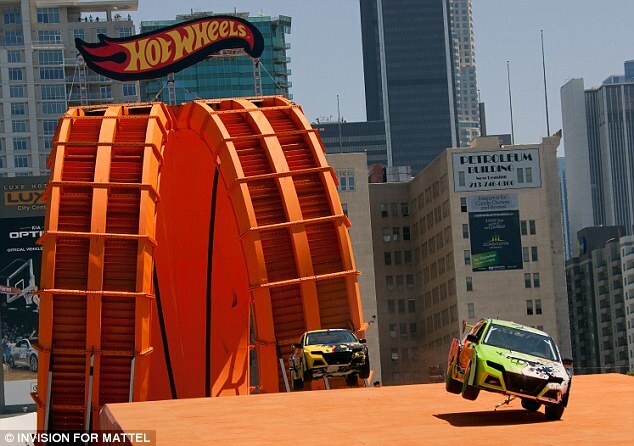 In a nail-biting race, rally car driver Tanner Foust and Hollywood stuntman Greg Tracy zipped approximately 53 MPH defying gravity and experiencing 7Gs through the 360-degree double ramp at the X Games in Los Angeles on Saturday. "That was unbelievable," Tracy said after finishing first through the loop in the Team Green car and making the jump into the finish ahead of Foust. "I tell you what, I'm at a loss for words. That was absolutely the coolest thing I've ever done. It was a handful trying to land it and get it slowed down. I knew Tanner was right behind me and I was just hoping we weren't going to tangle before we got to the end." 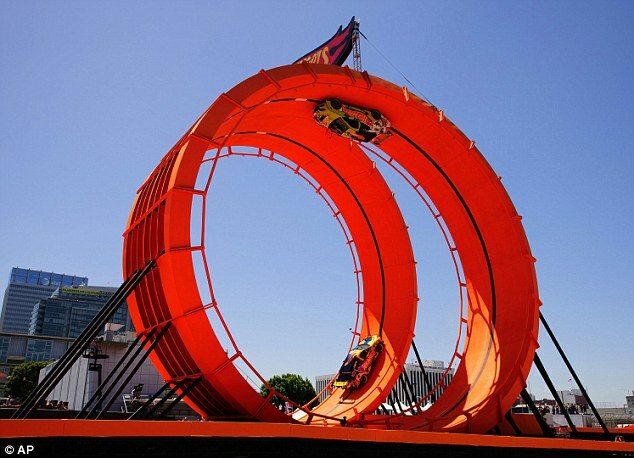 The successful stunt gets marked down as a Guinness World Record. You can watch video of the stunt below, and check out photos in the attached image gallery as well.